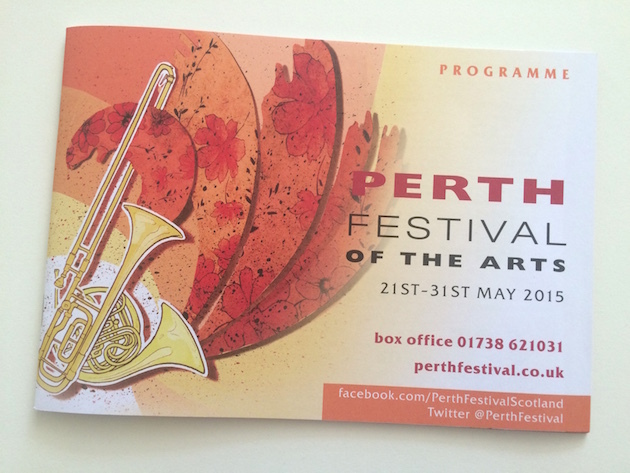 Perth Festival of the Arts is an annual 11 day Festival, which takes place this year from 21st – 31st May 2015 and covers a wide range of artforms from classical music and opera to rock, jazz, folk, dance and visual art. Founded in 1972, the Festival is an independent registered charity and audiences come from all over the UK and abroad, due to the impressive line up which the Festival has each year. Over the years, some of the many artists who have performed at the Festival include Van Morrison, Nicola Benedetti, Jools Holland, Dara O Briain, Russell Howard, Paul Merton, Julian Clary, The Magic Numbers, Calvin Harris, Edwyn Collins, Sharleen Spiteri, Joan Armatrading, The Waterboys, The Stranglers, Richard Hawley, Bill Wyman… and many, many more. King Creosote and his eight piece band will be playing pieces from the sound track “Scotland With Love” and King Creosote back catalogue. From Scotland With Love, which featured in The Sunday Times, Loud & Quiet and MOJO’s year-end lists and which critics described as ‘a lovingly crafted thing’ (Independent on Sunday) and ‘consistently superb’ (Loud & Quiet – 9/10), was created in collaboration with director Virginia Heath and Producer Grant Keir as an audio-accompaniment to a poetic documentary film of the same name. Featuring archive footage from the National Library of Scotland Scottish Screen Archive, but no narration or interview, the film works around themes of love and loss, war, resistance, emigration, work and play, and is driven as much by the music as it is the images. For the first time King Creosote found himself being able to write from other people’s perspectives. The result is From Scotland With Love, one of King Creosote’s most widescreen cinematic and finest pieces of work to date. This event will take place in a marquee sited beside Perth Concert Hall. It is ideal for families of all ages. There are two sound tracks to choose from rock and rock and also electro beats. Headphone Disco’s ‘TwoDeeJaySuperShow’ is a unique, surreal and hugely enjoyable experience that’s been rocking the college, festival and club circuit since 2007. From London to Lisbon and Moscow to Montreal the reaction to this silent party sensation has been immense as party people embrace one of the most talked about and freshest of dance party experiences. Surreal, bizarre, slightly outrageous but most of all hugely enjoyable, Headphone Disco is one of the most exciting dance party experiences to emerge in years. Where else can you witness one half of a crowd go wild to tough electro beats while the other half get down to some floor-shaking rock n’ roll? On the same dancefloor. At the same time! Taking part is fun, watching from the side is hilarious and avoiding any late night amplified-noise curfews. Support act Chris Holland on stage: 7.30 pm – 7.50 pm. Jools Holland OBE DL was born Julian Miles Holland on January 24, 1958 in Blackheath, South East London. At the age of 15 Jools was introduced to Glenn Tilbrook and Chris Difford; together they formed Squeeze, and shortly afterwards they were joined by Gilson Lavis (who had already played with, among others, B. B. King, Chuck Berry and Max Wall), who still drums with Jools. Up The Junction and Cool For Cats gave Squeeze meteoric success and their popularity rapidly extended to America, where their tour included performances at New York’s Madison Square Garden. 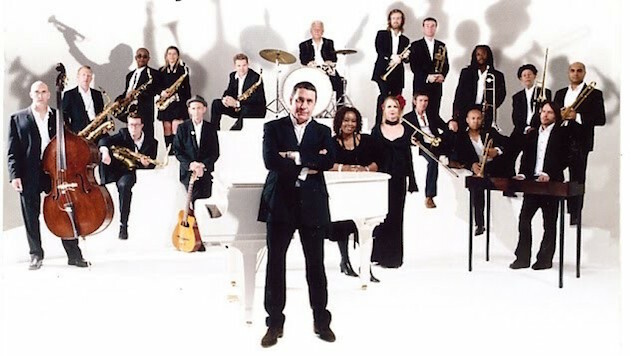 In 1987 Jools formed The Jools Holland Big Band, comprising himself and Gilson Lavis. This has gradually metamorphosed into the current 20-piece Jools Holland and His Rhythm & Blues Orchestra, which consists of pianist, organist, drummer, three female vocals, guitar, bass guitar, two tenor saxophones, two alto saxophones, baritone saxophone, three trumpets, and four trombones.